Let’s face it, our roads these days are filled with SUVs, crossovers, and very few actual sedans or coupes. 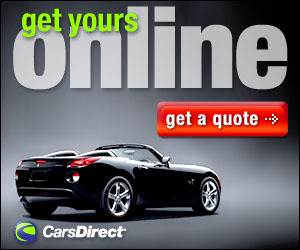 Now sedans are four door cars, coupes normally two, and there are some convertibles in the mix. Yet they all contain the same elements: an engine up front, seats and a steering wheel. You can make the engines bigger, the interior can be swanky and luxurious, plain and utilitarian or comfortable and cozy. Not much else you can do with them. The same is true of SUVs. There’s only so much you can do with them. They combine the functionality of a truck with more room and are higher off the ground. 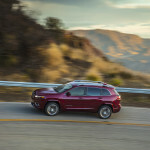 However, one SUV today is little different than another, because Jeep is defying that convention. 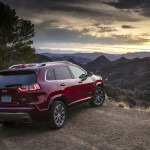 Yes, the Cherokee and Grand Cherokee are SUVs in the truest sense, but they have something a bit extra, something that allows them to stand out, or above the SUV crowd. The chariot of suburbia; the bastion of soccer moms can do all that SUVs do, but trying to take them off road? Seriously? Can we take most SUVs off road? Even a little bit? 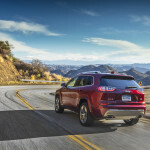 That’s right; what makes the Cherokee and Grand Cherokee stand out from the crowd is the fact that these SUVs can be equipped to go off road. Can an Escape? Equinox? CR-V, Rogue, RAV4? Nope, nope and nope. Technically you could take these off road, but they’re not made to and straying from the pavement will usually end badly. The Cherokee on the other hand can be taken off road, in fact it seems to welcome it. 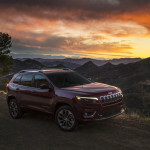 All this occurred to me when Jeep delivered a new 2019 Cherokee Overland 4×4 edition to my office for a recent week. 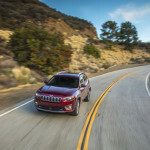 The first thing I saw when I got in the driver’s seat was Jeep’s Active Drive I all-wheel-drive system that comes standard in this top of the line Cherokee above the base model Latitude, Latitude Plus, and Limited. 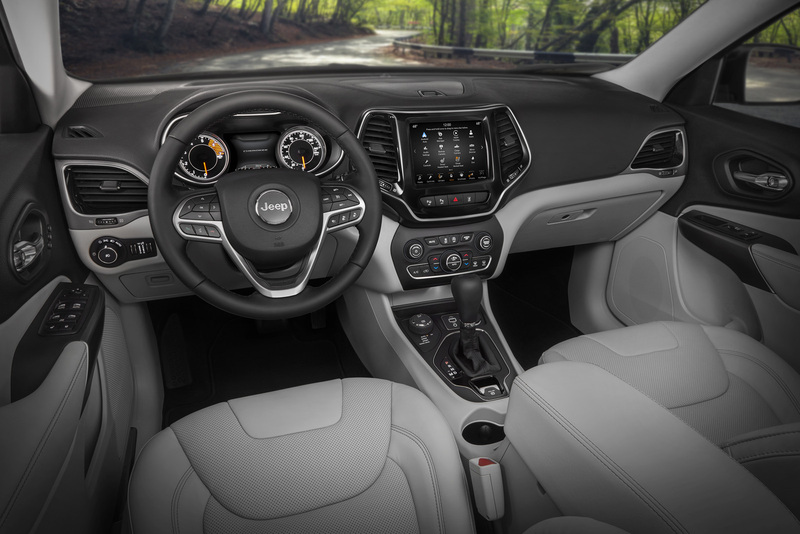 Yes, there is also keyless entry and start, heated front and rear leather seats (ventilated in front), a wood and leather steering wheel, 19-inch polished aluminum wheels, and a ParkView rear backup camera. My tester also had the optional Technology Package ($995), which adds such safety features as adaptive cruise with stop and go, lane-departure warning, collision warning with crash mitigation, and Parallel and Perpendicular automatic parking. 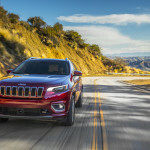 FCA has updated the Cherokees for 2019, and that includes the Overland’s interior (the other trims have been updated as well). There are new seats, and a cargo area that’s three inches wider. The Overland comes with FCA’s fourth-generation Uconnect system, with enhanced processing power, faster start-up times and high-resolution display. 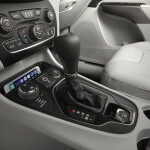 The Overland has an 8.4-inch touchscreen as standard. Base Latitude models start with a 7.0-inch touchscreen instead. All models support Apple CarPlay and Android Auto. The center console has been rearranged and now has a larger storage compartment. Outside, up front the new Cherokee’s headlights now have a much more conventional look rather than the old look that turned off a lot of people it seems. The new headlight design is paired with a restyled front end that includes a new hood. Out back, designers worked on the rear end, updating the taillights and exhaust tips and moved the rear license plate from the bumper to the liftgate. Under the (new) hood, an all-new 2.0-liter turbo that makes 270 horsepower and 295 lb-ft of torque is available. 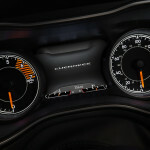 The 3.2-liter Pentastar V-6 engine can still be had, delivering 271 horsepower along with 239 lb-ft of torque. There’s also a naturally aspirated 2.4-liter, rated at 180 horsepower and 170 lb-ft of torque. 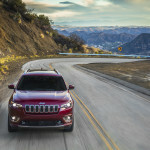 With the V6 the Cherokee is rated to tow 4,500 pounds. All the engines use the same (also new) 9-speed automatic transmission. The best part to me was the price. My Overland topped out at $40,215. I’ve always liked Cherokees. 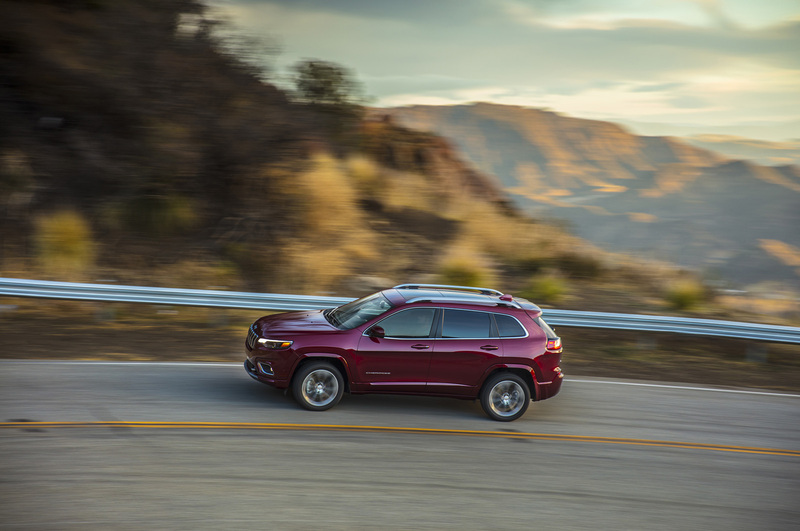 From the Grand Cherokee TrackHawk (which was indeed Grand), to the SRT and a 2016 Overland, any time with a Cherokee is a good one. Especially when you know that with the turn of a knob you can leave the pavement behind; not all SUVs can do. The Overland is the right size, equipped nicely, and drives well on the road, or on dirt should you need to. And all at an affordable price. The soccer mom could actually drive onto the pitch should she want to and still afford to get her nails done. Front Head Room: 39.4 In. Front Hip Room: 53.8 In. Front Shoulder Room: 57.6 In. Rear Hip Room: 49.9 In. Rear Shoulder Room: 55.1 In. 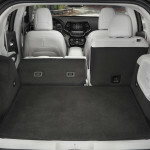 Cargo Capacity, All Seats In Place: 24.6 Cu.Ft. Maximum Cargo Capacity: 54.9 Cu.Ft.